Big & Rich's "Save A Horse [Ride A Cowboy]" is a song guaranteed to get people on their feet! Enjoy the festive music video and complete lyrics here. 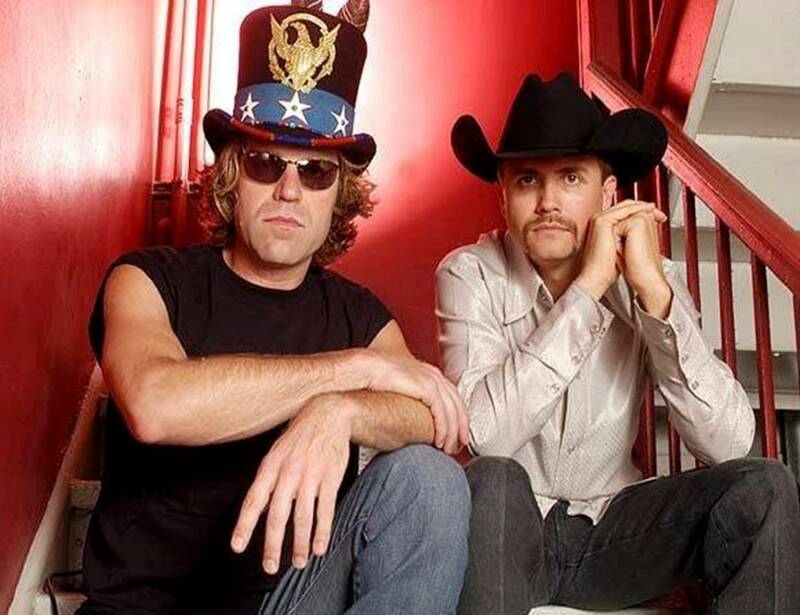 Big & Rich debuted their first single, “Save A Horse [Ride A Cowboy]” in 2004. The song gained widespread popularity after ESPN featured the song in commercials promoting the 2004 World Series of Poker. The song is a musical fusion of country rap and rock. The song describes the arrival of band members Big Kenny and John Rich arriving in Nashville, heading straight to a bar and partying it up. Staying true to the song, the music video was filmed in Nashville during the summer of 2004. Country songstress Gretchen Wilson is featured in the video, as well as Cowboy Troy. Dancers, a marching band, and a variety of other people are featured in the video as well, parading down the Shelby Street Bridge in Nashville. Watch the entertaining music video below! Share this with other Big & Rich fans— or anyone that loves a good party an!